Chipotle was soaring along, the envy of many for its rapid growth, committed fan base, and growing reputation as the next big thing. Its reputation was golden, with lines out the door and investors clamoring to get in on the action. Steve Ells opened the first Chipotle in Denver in 1993 as a vehicle to support his dream of creating a fine-dining restaurant. Much to his surprise, the concept took off, ultimately growing to about 2,300 units, 50,000 employees and $4 billion in annual revenue. It was nothing but net profit for Chipotle--until brand disaster struck in late 2015 in the form two E. coli outbreaks. By February 2016, the CDC had catalogued 55 cases in 11 states with 21 hospitalized in the first outbreak; then 5 more cases in 3 states with 1 hospitalization. Fortunately, no one died. That's a hard pill to swallow for a brand that not only prides itself on the quality and freshness of its food, but also on the relationships it had built with its fans over the years, as well as with investors as its stock price climbed steadily upward. "If you're selling food for a living, the last thing you want to do is make people sick. You feel awful because you hurt people," said William Espey, Chipotle's brand visionary and 18-year company veteran, at this year's Franchise Consumer Marketing Conference, where he was a keynote speaker (see page 32). In a matter of months, a reputation built over two decades went down the tubes, along with its stock price. Trust was broken and would take time to rebuild, no one knew how long. Even for the best of us, a damaged reputation is hard to shake. This July, after 2 years of damage control and working to rebuild its once-sterling reputation, Chipotle suffered a major hiccup. Or maybe it was a sneeze, when an employee in Virginia showed up to work sick, Ells surmised in a conference call shortly after the event. Customers came down with norovirus and the brand took another hit. Despite reporting positive results for the first six months of 2017, the brand's stock price fell again, and headlines focused on the Virginia incident, not the hard-earned turnaround. While norovirus is incredibly contagious, it's also incredibly common: about 1 in 16 Americans get it each year. Also known as food poisoning or stomach flu, the bug causes 19 to 21 million illnesses, 56,000 to 71,000 hospitalizations, and 570 to 800 deaths (a minuscule percentage) in the U.S. each year, according to the CDC. It can be uncomfortable, but mostly it's taken for granted, no big deal. But not for Chipotle. "It's magnified when it happens to us," says Espey. "I hope people are aware of these facts." In terms of reputation, it comes down to a case of the facts versus the headlines (which were pretty bad) in an age when headlines are designed to draw clicks more than present facts. How to deal with perception is the issue when your dinged reputation takes another hit. In this most recent case, says Espey, "I don't think putting out an ad, doing it in a marketing way, is really a viable option." Instead, he thinks focusing on the facts through a public relations approach is the best path forward. "You put the facts out there and hope you're putting seeds in the ground that will start growing and connect with the truth," he says. Add to that the social media element--where, he says loyal fans are correcting misperceptions online, on their own--while the company is making people available to answer questions and explain that this has nothing to do with the food or supply chain. Lessons abound for the brand--and others. Espey said the 2015 E. coli events were the result of not enforcing the brand's own safety standards. That's been fixed, including hiring a new safety expert. This time, said Ells, the brand is "undertaking communication and training efforts to ensure that every manager understands and executes these norovirus procedures." He said compliance with these procedures is a "non-negotiable" condition of employment. So what happens when you've done everything right and something still goes wrong? Take the classic 1982 Tylenol poisoning, where seven people died. A subsequent analysis of crisis communication strategies by the Department of Defense(!) concluded that the damage was done by "a malevolent person or persons." The end result, said the report, was that the public viewed Tylenol "as the unfortunate victim of a malicious crime." Mission accomplished, but no one knew at the time how it would turn out. Act fast. Don't wait for events to overtake you and spin out of control. Tell your story. If you don't tell your side, someone else will. "No comment" is like saying guilty as charged. Don't let your lawyers drive your response; turn to your PR people. Say you're sorry. Then make it right and don't do it again. Be human. Make people feel you're listening to them. During interviews, spokespersons can use guides and talking points, but it's imperative they sound like a real person, not a series of canned messages that come off as cold. "The one thing I always go back to," she says, is 'Be human.' Be real, apologize, acknowledge what you did, and say how you're going to fix things." Listening and responding to what people are saying about your brand online is a must these days. Some brands are doing it themselves, some are working with third parties, and some are doing both. Mike Brown, an area director for Jersey Mike's Subs in California, made the choice to hire out. "We realized 5 or 6 years ago that online reputation management was a new thing to most of us--the Yelps of the world were just becoming commonplace," says Brown. "It became clear to us that we weren't very good at knowing how to build our reputation online in a positive way and respond to negative feedback posted online." He and his wife Cathy, also a Jersey Mike's area director in California, operate 14 restaurants themselves (7 in San Diego County and 7 in the Bay Area), and are area directors for another 30 units in San Diego County. Coincidentally, they knew someone socially who was working on a solution and asked them to be one of his early clients. "At the time, and still today, unless we have somebody on our own payroll who's really good at this, it's best to farm that out to a third-party vendor," says Brown, who found the service and value worked for him, compared with hiring someone to do it in-house. He says hiring an outside expert also helped him with SEO and garnering more positive reviews. "I think everybody understands the importance and power of reviews," says Griff Emery, founder of Shout About Us, the service Brown uses for his Jersey Mike's locations. "People trust friends and family first, then other consumers." He says search engines are placing more importance on online reviews, including volume and consistency, when they do their page rankings. "It's really crucial these days to embrace and accept the fact that online reputation will be there," says Brown. "If you do nothing about it, it will still be there. Consumers are doing it on their own. The question becomes do you want to try to manage it and improve it if you can. It's smart to try to improve it instead of ignore it." Generate reviews--to improve local SEO and increase consumer confidence. Listen--to customer feedback on the most influential review sites. Respond--to online reviews to develop a brand advocate network. His company monitors more than 50 review sites, from the major ones to industry-specific sites, and provides dashboard reports that can be seen and responded to on mobile devices. Responding, he says, is something hotels have been doing for some time. "It shows you care about the customer and what they have to say," he says. "Without that service, it falls on somebody to monitor all that," says Brown. "When you're running a restaurant your time is pretty chewed up during the day." Making this work well is a two-way street that takes time and a lot of training and communication, at least initially. Brown says he moved a team member who was making sandwiches and working the counter into a marketing role as a liaison to Shout About Us. Says Brown, "We trained them so that they could respond promptly and appropriately to online reviews, so we as a brand can look like we're interested, engaged, and fair-minded." And on Emery's side, "We take the customer through our process, but we also educate our responders." The key to training responders is having them understand the client's brand, from its product or service to its values and culture. This allows the hired responders to sound and feel like the brand, not like an impersonal chatbot or someone reading or typing from a canned script. At first, says Emery, the protocol is to pass along responses to the client before sending them out, to ensure it's the type of response the clients wants. After a while, the back-and-forth becomes less frequent as responders get to know the brand and the client comes to trust the process. In the early years, "It was a fairly common occurrence to be contacted for our perspective. Over time, that became less. There are not 200 different issues, but maybe the same 20 repeatedly," says Brown. "Every franchisor that has multiple outlets is going to have some trend line about the most and least common complaints. For the most common, there could be a FAQ or script. Every once a while there's an unusual one and they have to call us." When it comes to negative feedback, "It's easy to get a little uptight and not respond in the most reasonable way," especially after a stressful day, says Brown, who's been in the industry nearly 40 years. "It's good to have a third party that can respond in a better way all around for your brand's reputation." "The way to win here is if the customer leaves feeling satisfied, even if they didn't get what they expected," says Emery. "It's winning in the court of public opinion." Franchisor or franchisee? It depends on many factors: the product or service (a complaint about a sandwich with the wrong cheese is qualitatively different from one about giving grandma the wrong meds); the size and level of in-house expertise (infrastructure); and the image and relationship a brand wishes to convey to its customers and the public. "Because our service, child care, is so very personal, the responses must be equally personal and heartfelt," says Wendy Odell Magus, vice president of marketing at Kiddie Academy. "That is why we continue to have our first line of response take place at the local level from the franchisee. It would in inauthentic if we spoke on behalf of the franchisee in response to a customer's feedback about their experience." As franchisors know from trying to get busy franchisees to do yet one more thing, this is not always an easy task. But at Kiddie Academy, "Franchisees are very motivated to manage their local brand reputation," she says. "Usually they are quick to act and ask for support if they don't understand the best path to engaging with the reviewer. I believe they see a direct correlation to the health of their business, and therefore are willing to invest the time and energy needed to manage their reputation." And as franchisors also know, not all franchisees and their managers are equal when it comes to dealing with the public in the most effective or diplomatic manner. "A lot of franchisees don't have the time or the skill set to respond," says Emery. "Franchisors don't want franchisees to sound uneducated, spell wrong, or get defensive." That's one reason franchisors prefer to respond from corporate, hire and train a third party to do the job, or train their franchisees to respond in ways that represent the brand in the most desirable manner. "We continually provide coaching and training on how to handle reviews," says Magus. "This happens in formal classroom settings and in real time in the real world. Because we monitor the overall brand reputation nationally and give visibility to franchisees locally, we have multiple triggers in place to ensure timely responses." "Your reputation is everything online," says Susan Boresow, president of Title Boxing Club, and chair of this year's Franchise Consumer Marketing Conference. Title Boxing has also has gone with the in-house route, hiring a social media specialist who oversees the brand's social media calendar and corporate Facebook, Twitter, and Instagram accounts and activities--and responds within minutes. Yelp is a little bit trickier, she says, and he works with the operations team to protect the integrity of the brand. Title Boxing also provides webinars to train its franchisees in how to protect their online reputation. Franchisees share best practices on how-to's such as who monitors phone calls and social media, and how to respond, says Boresow. The company also has social media guidelines, processes, workshops, and e-learning videos, and is continually updating them. The company also conducts a social audit of its franchisees, evaluating brand compliance on social channels "to make sure we're coaching our franchisees on best practices," says Boresow. "We also monitor how quickly franchisees are responding." One example from last year's audit was seeing some franchisees using the word "gym" online--not the image the brand wants to convey. "We're not a gym, we're a club," says Boresow. The audit also found franchisees using old logos and photos that didn't represent the brand as it wishes to be seen. The social audit is not just policing and correcting activity, but also about getting the brand out there in a more effective way, she says. While the goal is to have the franchisees and trainers at all of its nearly 170 clubs present the same social media messages, she also doesn't want to see cookie-cutter responses. Authenticity is key. The audits are also another opportunity to coach franchisees on providing better content, as well as how to respond not only to problems or complaints, but also to praise from members. "What I love about our brand is that we get a lot of positives. We should be thanking our members," she says. "We just want to make sure they represent the brand, as any great brand would." Train, but verify is also the mantra at Kiddie Academy--as is the use of technology to manage the process. "We use several different monitoring platforms that aggregate reviews from across the Internet and present those results in a dashboard, as well as push alerts out directly to the franchisee with any new reviews," says Magus. "The franchisee can also respond to the reviews in most instances, directly from that monitoring environment." 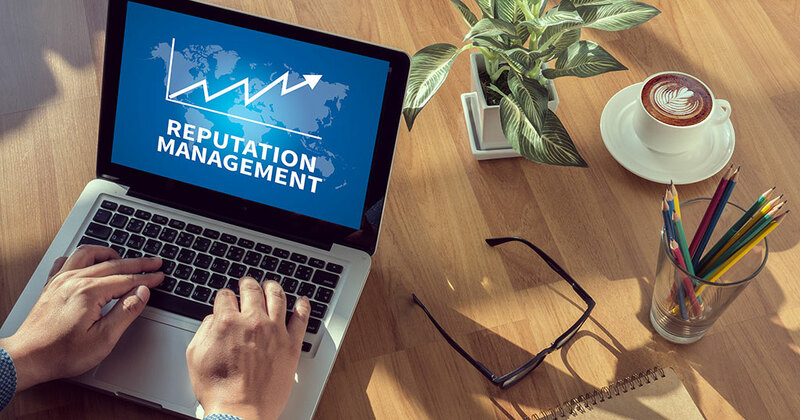 To build--and maintain--your brand's reputation, keep these 5 tips at the top of your list, says Debra Vilchis, COO at Fishman Public Relations. Keep on top of your operations and service quality. Do your job properly and actually provide great products and services--because bad reviews are often due to operational problems. Fix them and your reputation improves. Know what's out there about you. As a potential franchisee, I'm looking online, hearing about your brand on news and social media, from franchisees, and from customers. I'll look on Facebook and Yelp to see what real people are saying. You must have a really great monitoring system to keep an eye out on brand mentions so you can act in real time. Get experts to help you respond. Build your brand profile. If you're not doing a lot of PR that's fine, but do a lot of self-publishing and that will build your brand profile. On your franchise opportunity page feature growth stories, or franchisees doing great things in their communities. Create goodwill. Do a lot of that; support a cause. Obviously because it's the right thing to do, but also because it makes your brand more attractive to potential investors and customers. Put out the right messages. It's not enough just to get coverage for potential investors and customers to find. Know your story, and media train your people not to use "corporate speak." Use PR materials, your website, blog, and social media. Disseminate good information about your brand and over social media and use SEO to boost positive mentions.